Kathryn McCain, chair of the McCain Foundation, has been appointed chair of the University of New Brunswick’s Board of Governors for a two-year term, which began July 1. She was previously vice-chair of the board. Ms. McCain has been a member of UNB’s Board of Governors since 1998. 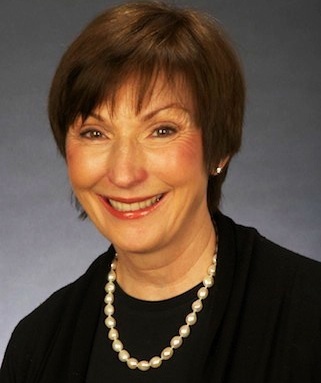 During this time, she has served on a number of board committees including, the Advancement Committee (chair), the University Honorary Degrees Committee, the Audit Committee (chair), the Executive Committee, the Executive Compensation Committee, the Finance Committee (chair), and the Nominating and Review Committee (chair). Ms. McCain, who obtained a bachelor’s degree in sociology from UNB, has also received the university’s Alumni Award of Honour for her contributions to the institution. “Kathy has served in many capacities on the board and her insight and love for this university has helped to shape its direction and I’m confident that, as board chair, she will continue to work hard to move the university into the future,” said UNB President Eddy Campbell. Ms. McCain has held her position as chair of the McCain Foundation, the philanthropic arm of McCain Foods Limited, since 1993. Along with a committee of four others, she is responsible for the work of the foundation, which has an annual distribution in excess of $1 million. Ms. McCain has obtained her chartered director’s certification from the Director’s College operated by McMaster University and the Conference Board of Canada. In October 2004, Ms. McCain was appointed to the National Board of the Nature Conservancy of Canada. She has also served on the boards of Pathways to Education, the Havergal College Foundation, and the Royal Canadian Geographical Society, where she was made a Fellow. She is also past warden at St. Clement’s Church in Toronto, and was a member of Massey College’s Quadrangle Society at the University of Toronto. Brian Baxter, CEO of Botsford Investments Inc., has been appointed board vice-chair for a two-year term, which began July 1. 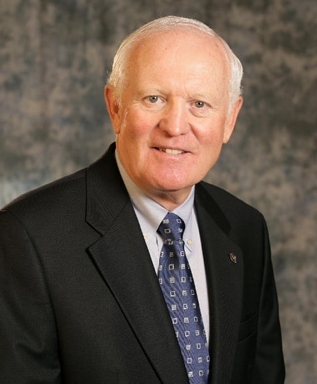 A graduate of UNB, Mr. Baxter has been a member of UNB’s Board of Governors since 2003. He has served on the board’s Finance, Advancement, Executive, Nominating and Review, and Human Resources committees and chaired the Investments Committee. Mr. Baxter is the former chair and CEO of Oulton College. He is a past-president of the New Brunswick Association of Career Colleges, Moncton Club, Downtown Centre-Ville Inc., and the Rotary Club of Moncton and is former chair of Enterprise Greater Moncton and the Moncton Flight College. He presently sits as a director on the boards of Service NB, NB Symphony Orchestra, and the Greater Moncton International Airport. Brian is also a member of the advisory board for UNB’s Centre for Financial Studies. In July 2002, Mr. Baxter was recognized as one of Atlantic Canada’s Top 50 CEOs by Atlantic Business Magazine. Ms. McCain is replacing Roxanne Fairweather, Chief Executive Officer at Innovatia Inc., who completed a two-year term as chair. “I want to thank Roxanne Fairweather for her service to the board and to the University,” said Campbell. “Her commitment to the future well-being of UNB is both inspirational and motivational.” David Stevenson, founding partner with Stevenson & Partners LLP, has been named Governor Emeritus. Governor Emeritus is an honorary rank awarded from time to time to individuals retiring from the board. It recognizes those who have made exceptional contributions to the board through leadership and service. The rank does not carry any duties or obligations, but its holder may be called on for advice or counsel. Mr. Stevenson has been a member of UNB’s Board of Governors since 2001, including a three-year term as chair. He has also served as chair of the board's Finance Committee, and as a member of the board's Investments and Executive committees. Among the honours that distinguish Mr. Stevenson’s career is his commemorative medal for the 125th anniversary of the Confederation of Canada and his fellowship into the New Brunswick Institute of Chartered Accountants. “David’s contributions to UNB have had a tremendously positive impact,” said Campbell. “Being named Governor Emeritus is a fitting tribute to an individual who has given so much to this institution.” UNBs’ Board of Governors has also welcomed six new members. They are: David Burns, UNB’s vice-president (research); Andrew Martel, UNB Fredericton student union president; Jonathan Cogger, Saint John student; Karen Taylor, UNB’s Associated Alumnae president; Mel Norton, Mayor of Saint John; and John Johnson, biology professor at UNB Saint John. UNB’s Board of Governors meets five times throughout the year. It is composed of 43 members.